for botanists, the hormone abscisic acid is an antihero. Unlike other hormones that promote plant growthnamely auxins, gibberellinsabscisic acid retards growth, prevents buds from blooming and closes the pores through which the plant breathes. But this is not to kill the plant. Rather, it protects the plant during drought, salinity. Now that global warming seems to have taken over everyones mind, absicisic acid (aba) might just be the solution agricultural scientists are looking for. Its ability to help the plant deal with adverse conditions can be used to create drought-resistant plants. Though identified in 1963, little was known of how the hormone worked. In difficult times the concentration of aba in the plant cells increased and bolstered the activity of genes that helped the plant decrease uptake of water, store it.Closing the plants pores that allow it to exchange gases for respiration minimizes water loss. But how aba did it at a genetic level was unknown. After a series of studies in 2009, the mystery started to unfold. In one published in the May 22 issue of Science, researchers from the University of California Riverside in the US located a protein in plant cells: pyr1. They studied its interaction with another protein pp2c which blocks stress response. aba binds to pyr1 and directs it to inhibit the function of pp2c thus allowing the plant to respond to stress. Later a team from Scripps Research Institute and the University of California in San Diego in usa deciphered the three dimensional structure of aba attached to pyr1. The researchers found that each plant cell had two copies of pyr1 fitted together like shells. Each copy had an open space where aba could fit and the other one closed around it. This was published in Science Express on October 22. Scientists from France and Spain added more information reported in the November 8 issue of Nature : when pyr1 closed around the hormone, this bared sites on the protein where pp2c binds. The California Riverside researchers replicated the entire process in vitro. Headed by a plant cell biologist, Jian-Kang Zhu, the researchers observed the interplay between four different types of proteins: pyr1, pp2c, an enzyme and a transcription factor (a protein that binds to dna for transfer of genetic information during the production of proteins) in cell cultures. The enzyme allows for the expression of genes that help the plant tackle stress. It is normally kept in an inactive state by the protein pp2c. But in the presence of abscisic acid, pp2c binds to pyr1 and its interaction with the enzyme is disrupted. This activates the enzyme which directs a stress response. Nature published the study on November 18. The aba signalling pathway we reconstituted is arguably the most important pathway for plants to cope with drought stress, said Zhu. Though treating the plant with the hormone before drought can help it put all its water saving mechanism in place, it has not been possible as aba is very difficult and expensive to produce. We are looking for chemicals that are cheap, active in triggering drought tolerance at very low concentrations and have no or minimal adverse effects on the environment, said Zhu. The work is crucial for warmer areas; Zhu also works for the Centre for Plant Stress Genomics and Technology at the King Abdullah University of Science and Technology in Saudi Arabia. The pathway may be more efficient in improving drought-resistant plants like millets, he added. The team now plans to investigate how stress triggers the production of aba. 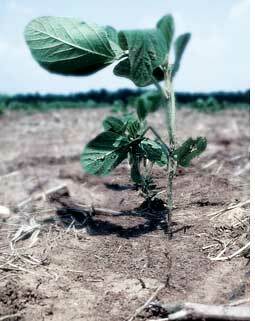 The studies would help researchers create drought-resistant plants via techniques like genetic engineering.